When you are looking for protection from the sun on a day outing, a camping trip or a day on the sports field, choose a hat that exceeds the Cancer Council recommendations and you will be safe. The design carries a host of accolades, adhering to Australian Standards AS / NZS 4399. It also offers UV protection at 50+, rated as Excellent Protection. The cap fits neatly onto the head and a 6.5cm brim all around will protect your face and neck from harmful sun's rays and glare. We offer the following great colours, black, bottle, maroon, navy, red and royal to use as a base to highlight your company or team logo and emblems in an embroidered style. The caps are manufactured to the highest standards with quality stitching and construction. Quality control is carried out at all stages of the process and the caps are designed to last for many seasons of wear. The 65 percent polyester and 35 percent viscose blend washes well in cool water and air dries. Do not crush or wring and your hat will always retain its shape. 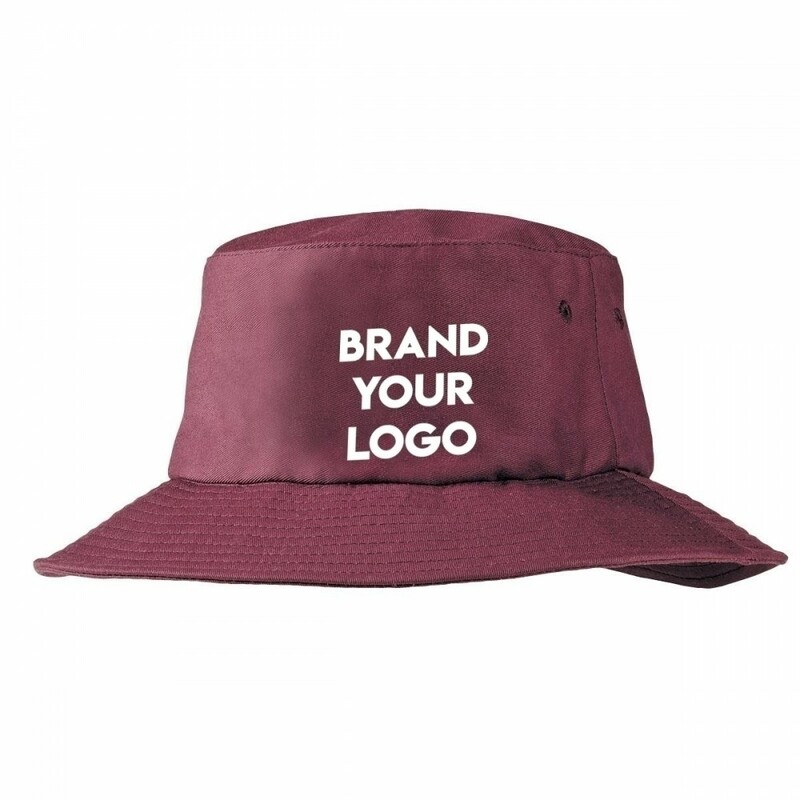 These hats make fun and functional give-aways at outdoor events where you can promote your brand and delight your clients. Offer them as part of a welcome pack and soon your logo will be seen all around the venue.